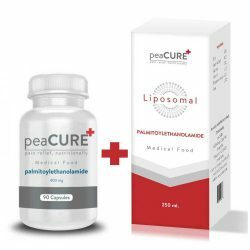 Liposomal peaCURE is designed to combine the impressive benefits and safety of palmitoylethanolamide and the advanced liposomal delivery system. Palmitoylethanolamide is completely safe. 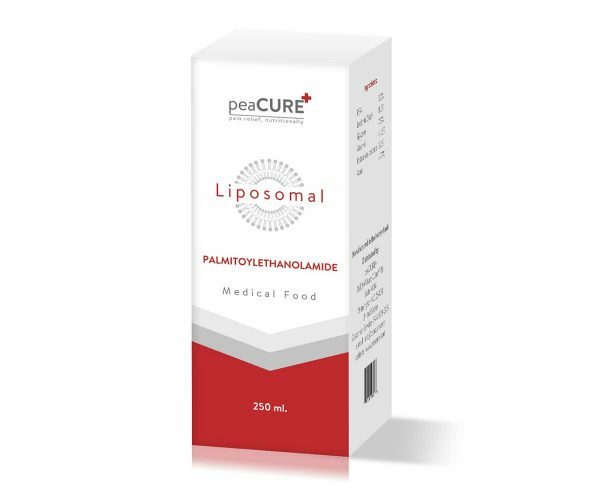 Liposomes ensure that the entire amount is delivered exactly where and when needed, without any loss due to enzymes or stomach acids. 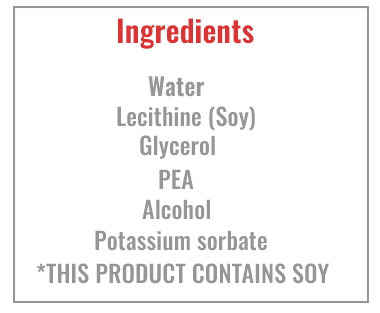 Tests have shown that liposomal delivery system greatly increases bioavailability and thus makes smaller amounts of PEA more effective. Aside from the general benefits of the liposomal delivery system, taking 7.5 ml of Liposomal peaCURE is equal to taking 4 peaCURE capsules a day. 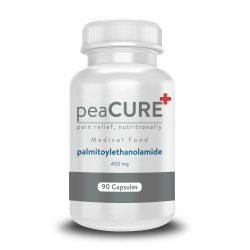 The improved delivery and absorption which comes from liposomes greatly improves bioavailability of palmitoylethanolamide (PEA) and makes it more effective than higher dosages of PEA administered via oral capsules. Regular dosage is 7,5 ml a day (equal to 4 capsules per day). After opening, store in the refrigerator. Use before the end date marked on the packaging. Store cool and dry.